Gilberto "Beto" Medina, 83, went home to join our Lord on Wednesday, July 4, 2018 while receiving palliative care at the Comfort House in McAllen. He was born on Wednesday, April 3, 1935 in Matehuala, San Luis Potosi, Mexico to Francisco Medina and Francisca Medina Lara. He is preceded in death by his parents, brothers and sisters. Mr. Medina is survived by his wife of 25 years; Macrina R. Silvas, his seven children; Maria Antonia M. Torres, Francisca M. Lopez, Hector Medina Perez, Rosalva M. Mendez, Gilberto Medina, Jr., Mario Medina, and Marisol M. Gallegos, also his extended family; Lorena Silva, Blanca Hinojosa, Laura Ramirez, Sarita Silvas, numerous grandchildren, nieces and nephews. 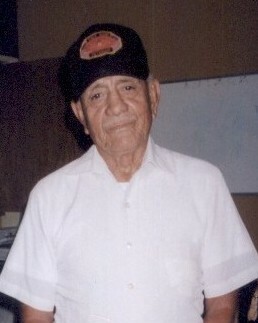 He lived in Edinburg most of his life and was a member of Sacred Heart Catholic Church. He was a former boxer known as "Estiquita". He lived life always helping others, enjoying taking long distant brisk walks, spending quality time among family and friends; but most of all enjoying the tranquility when gardening. His family would like to say a special "Thank You" to the nurses and staff members with Con Tigo Hospice and the Comfort House for providing outstanding care of our loved one and family when we most needed it. We would also like to express much gratitude to his longtime Primary Care Physician, Dr. Miguel Aleman and Onocologist, Dr. Guillermo Lazo for being so attentive to his every medical necessity. He will be greatly missed by his family, friends and all those whose lives he touched. His family received family and friends on Friday, July 6, 2018 from 5:00 PM - 9:00 PM with a Rosary prayed at 7:00 PM at Ceballos-Diaz Funeral Home, 322 East Kuhn Street in Edinburg. Catholic Mass will be held today, Saturday, July 7, 2018 at 10:00 AM at Sacred Heart Catholic Church, 501 East Kuhn Street in Edinburg. Catholic burial will follow to Hillcrest Memorial Park Cemetery, 1701 East Richardson Road in Edinburg. Having the distinguished honor to serve as pallbearers will be: Richard Rodriguez, Rolando Rodriguez, Christopher Barboza, Victor Medina, Perfecto Medina, and Edgar R. Garcia. Funeral services have been entrusted to Ceballos-Diaz Funeral Home in Edinburg.